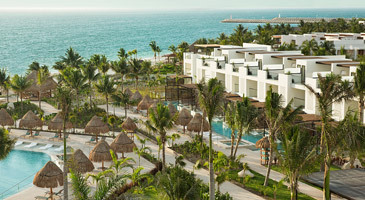 Spend a week enjoying the ultimate in pampering with an all-inclusive Excellence Group Luxury Hotels & Resorts vacation. Whether on an adults-only retreat or a modern, all-inclusive vacation with the family, every guest will enjoy exquisite accommodations, world-class service and a variety of activities and amenities. Save $300 per booking on a flight and hotel package of 7 nights or longer, or save $200 per booking on packages of 4 to 6 nights. Delta Vacations gives you more ways to rack up miles, and earn toward your Medallion® Status. SkyMiles® Members earn 1,500 bonus miles per person, in addition to credited flight miles, with a flight and Excellence Group Luxury Hotels & Resorts package. 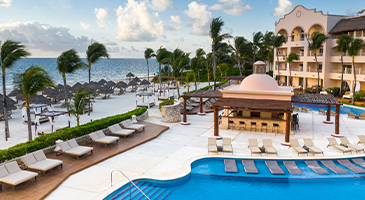 *Sample Pricing: This offer is available from hundreds of origin cities, but this price, which reflects the offer, is based on travel between Atlanta and Cancun, staying at Excellence Riviera Cancun – Adults Only in Riviera Maya. Price is per person, based on double occupancy and select Wednesday departures returns, July 10 – 17, 2019, and is subject to change. Additional restrictions and baggage charges may apply. See Terms and Conditions for details. Offering the same level of luxury and comfort as Excellence Resorts, Finest Resorts are beautiful respites for guests of all ages, including couples, friends and families. This adults-only, all-suite resort offers all-inclusive luxury, situated on a long stretch of perfect powdery sand beach. Guests can indulge themselves dining at a selection of nine restaurants with a range of global cuisine, plus there are 12 bars to explore, each with its own vibe. Excellence Punta Cana is also home to a world-class spa, state-of-the-art fitness center and a wide range of activities and services. 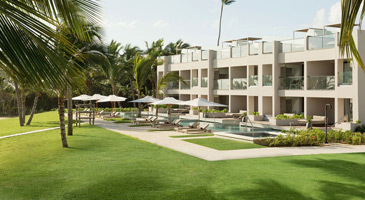 Situated on a stretch of breathtaking beach, and only 25 minutes from the Punta Cana International Airport, Excellence El Carmen is an all-inclusive, adults-only resort. It offers an abundance of activities, including volleyball, tennis, basketball, bicycling, archery, dancing and cooking lessons. Located on a stunning, two-mile stretch of beach on a peninsula, Excellence Oyster Bay is a Victorian-style, all-inclusive, adults-only resort. It features oversized suites, 24-hour room service, four pools and an abundance of activities. Guests are sure to love the state-of-the-art fitness center, panoramic ocean views and direct beach access. Explore an adults-only, all-inclusive oasis, set along a beautiful peninsula between the Caribbean Sea and wetlands preserve. Excellence Playa Mujeres’ dramatic setting is as stunning as it is exclusive, without being too far from the Cancun International Airport and nightlife of Cancun. Surrounded by an oasis of pools, and fringed by a two-mile beach, Finest Playa Mujeres by Excellence Group is the perfect destination for guests of all ages. This all-inclusive hideaway features 450 well-appointed guest suites, the Finest Club for all-ages and the exclusive Excellence Club for adults. 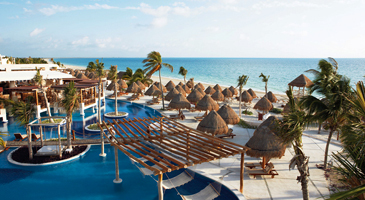 *Price is per person, based on double occupancy at Excellence Riviera Cancun in Riviera Maya, between Atlanta and Cancun. Wednesday departures and returns via nonstop service on Delta and certain Delta codeshare partners, and is valid for specific travel dates July 10 – 17, 2019. Advance purchase requirements vary. Other travel days and dates and accommodations are available at other prices. May require travel on specific flights or times; blackout dates may apply. Purchase any Delta Vacations flight and Excellence Group Luxury Hotels & Resorts package from any Delta Vacations origin in the U.S. or Canada to Mexico, the Dominican Republic or Jamaica, April 1 – 30, 2019, for travel April 1 – November 8, 2019. At time of reservation, you must refer to promotional code DV32776A or DV32776B. Participating hotels include: Mexico: Cancun — Excellence Playa Mujeres and Finest Playa Mujeres by Excellence Group; Riviera Maya — Excellence Riviera Cancun. 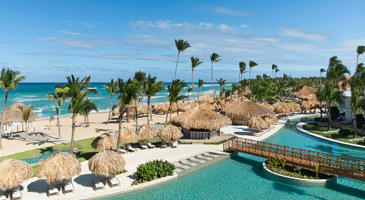 Dominican Republic: Punta Cana — Excellence El Carmen and Excellence Punta Cana. 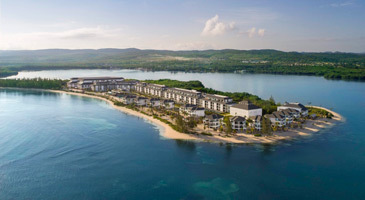 Jamaica: Montego Bay — Excellence Oyster Bay. Discount is $200 off per eligible flight and hotel package of 4 to 6 nights with promo code DV32776A. Discount is $300 off per eligible flight and hotel package of 7 nights or longer with promo code DV32776B. Package purchase includes flight and hotel; or flight, hotel and car rental, plus any optional activities. Maximum discount is $300 off per booking; discount is a percentage of each eligible land component. Enter promotional code DV32776A or DV32776B in the Promo Code/eCertificate box on the Booking page. At time of reservation, you must refer to promotional code DV32776A or DV32776B . To receive the highest discount, travel August 18 – November 7, 2019. Offer available in the following room categories: Junior Suite Ocean View, Two Story Rooftop Terrace Suite Spa/Pool View, Excellence Club Junior Suite Oceanfront, Excellence Junior Suite Swim Up Oceanview, Excellence Club Two-Story Rooftop Terrace Suite Oceanfront, Excellence Club Honeymoon Suite Oceanfront and Excellence Club Honeymoon Suite Oceanfront w/Rooftop Terrace. Book by April 30, 2019, for travel April 22 – November 7, 2019. To receive the highest discount of 51%, travel August 18 - 31, 2019. Offer available in the following room categories: Terrace Suite w/Plunge Pool, Two-Story Rooftop Suite Spa/Pool View, Excellence Club Junior Suite Pool View, Excellence Club Junior Suite Swim Up Pool View, Excellence Club Junior Suite Oceanview, Excellence Club Two-Story Rooftop Terrace Suite Oceanfront, Excellence Club Honeymoon Suite with private pool and Excellence Club Honeymoon Suite Two-Story Rooftop Suite with Plunge Pool. Book by April 30, 2019, for travel July 12 – August 31, 2019. To receive the highest discount, travel August 12 – September 30, 2019. Available in all room categories except Junior Suite Spa and Pool View. Book by April 30, 2019, for travel May 26 – September 30, 3019.